An EU audit has found that some of the money Europe provides to the Palestinian Authority (PA) goes to pay salaries for officials in Gaza who don’t work at all. The auditors said the EU pays one-fifth of the salaries of the PA’s 170,000 civil servants, in the Arab-occupied Jewish Biblical heartland of Judea and Samaria as well as in Gaza. European auditor Hans Gustaf Wessberg said spot checks found that in one office, out of 125 employees, 90 weren’t working. Wessberg said the auditors recommend halting EU payments to PA civil servants in Gaza and using the aid instead in Judea and Samaria (known as the “West Bank” during the 19-year Jordanian occupation that began in 1948). 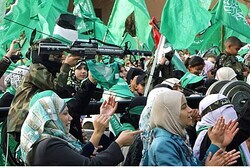 Some 65,000 civil servants and members of the PA security forces in Gaza stopped reporting to their jobs in 2007, when the openly genocidal Islamist Hamas violently seized control of the territory, leaving PA chirman Mahmoud Abbas, from the rival Fatah terror group, in charge only of Judea and Samaria. Abbas decided at the time to keep paying their salaries, on the condition they stay at home and don’t work for the Hamas government. Since 2008, the EU’s largest program in PA territorry has been PEGASE DFS, which provided approximately $1.4 billion (1 billion euros) in funding from 2008 to 2012. PEGASE DFS seeks to help the PA to meet its obligations to civil servants, pensioners and vulnerable families, maintain essential public services and improve public finances. “While the Commission and European External Action Service (EEAS) have succeeded in implementing the support to the Palestinian Authority in difficult circumstances, there are a number of aspects of the current approach that are increasingly in need of an overhaul” stated Wessberg. “Although some important results have been achieved, there is a need for major revisions such as encouraging the PA to undertake more reforms, notably in relation to its civil service. Furthermore, a way needs to be found to bring Israel to take the necessary steps to help ensure that PEGASE DFS is effective”. The European Union has provided more than $7.7 billion (5.6 billion euros) in assistance to the Palestinian people since 1994. The report recommends that an agreement be reached with the PA for the funding of salaries and pensions from PEGASE DFS for civil servants in Gaza to be discontinued and redirected to Judea and Samaria.